Study abroad programs have increased dramatically. Most programs are short-term and include a cultural immersion as well as classroom and/or service learning. 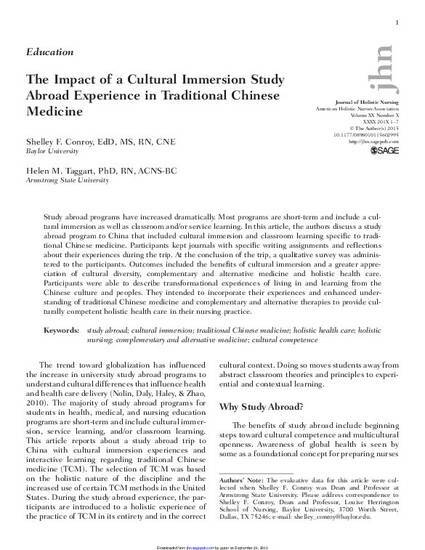 In this article, the authors discuss a study abroad program to China that included cultural immersion and classroom learning specific to traditional Chinese medicine. Participants kept journals with specific writing assignments and reflections about their experiences during the trip. At the conclusion of the trip, a qualitative survey was administered to the participants. Outcomes included the benefits of cultural immersion and a greater appreciation of cultural diversity, complementary and alternative medicine and holistic health care. Participants were able to describe transformational experiences of living in and learning from the Chinese culture and peoples.  They intended to incorporate their experiences and enhanced understanding of traditional Chinese medicine and complementary and alternative therapies to provide culturally competent holistic health care in their nursing practice.